This bundle contains 31 products. You save 72% from the $2,066 regular price! Don't limit your creativity and make your own unique sound! 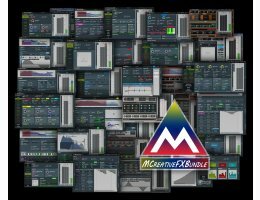 MCreativeFXBundle currently contains 31 effects for serious composers who want the most advanced technology soft-tools for taking their own sound creativity past the limits of their imagination.